The group made their stand known at a meeting held in Isanlu, Yagba East Local Government Area of Kogi State at the weekend. The leaders pencilled down the member representing Kabba/Bunu-Ijumu Federal Constituency in the House of Representatives, Honorable Tajudeen Yusuf to contest for the seat of Senate. 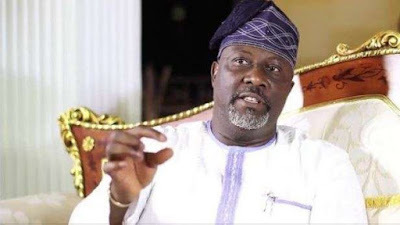 Speaking to newsmen in Isanlu, the Patron of OLF, Chief Arowosafe Jemigbon noted that Kogi West people could not afford to continue with the leadership style of Senator Dino Melaye. He said the embattled lawmaker has turned legislative business to “show of assets” and urged the political stakeholders of the zone to “kick-start the process of wooing Honorable Teejay Yusuf to replace him in 2019″. He described Dino’s two years so far in the Senate as “a total failure and poor representation to the people of Kogi West”. “As it stands today in Kogi West, it has become the more you look, nothing you see. There is no important project going on in our dear district, yet some people go around making questionable endorsements,” he said. Earlier, the President of the group, Dr. Omolade Ojo pleaded with Honorable Yusuf not to disappoint the Okun leaders by answering their call without delay. The Senator who reacted through his legislative aide, Mr Gideon Ayodele, said the impostors that came under the platform, OLF are not in any way or at any time known in the Okun land, either as elites nor politicians, not even in any Okun communities. “The said group have monetized their consciences and I know the Hon. T. J Yusuf in a question is wise enough to know that the group have no loco standing to make such claims. “If really they are not masquerades, let them show their real identities.